Two BIG Spring Sales this Weekend! Another weekend, another sale. Hey, I’m not mad at it! Two of my favorite stores/brands are currently having awesome sales, so of course I had to share. First up, we have the Tory Burch Spring Event. This sale will save you up to 30% OFF your purchase until Monday (4/24) night with promo code: SPRINGEVENT. Tory Burch is one of my favorite places to buy handbags (midrange price point) and shoes. Her Miller sandals are literally the only pair of shoes I wore all week last week on vacation. Next up, we have the Sephora Insider Shopping Event. This sales event offers up to 15% off site-wide depending whether you are a Beauty Insider or you are VIB/VIB Rouge Member. 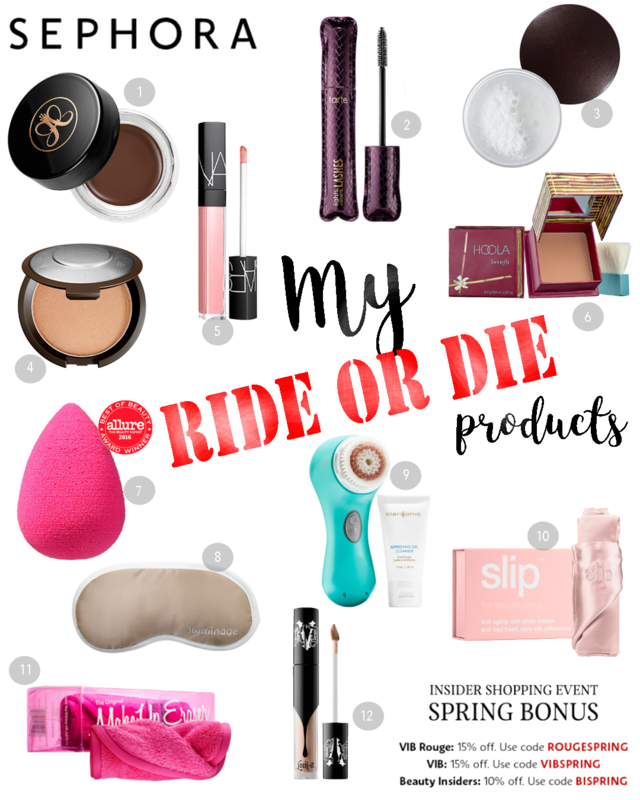 For this sale, I’m rounding up my ride or die products. Most of these picks you’ve heard me praise about a million times. Now that they’re on sale, it’s the perfect time for you to check out a product (or few) for yourself! Anastasia Beverly Hills Dipbrow: My go-to for brows. I love the texture and ease of application (with the right brush). Watch my full brow tutorial here. tarte Lights, Camera, Lashes! Mascara: My holy grail mascara. I’ve been using it for awhile now and love to combine it with Revlon or L’Oreal mascara for the perfect fringe. Laura Mercier Secret Brightening Powder: Perfect for waking and brightening up tired eyes. I use this powder in basically every makeup tutorial I film. Becca Highlighter: If you want the ultimate highlight that can legit be seen from outer space, then pick this up in “Champagne Pop.” This highlighter layers beautifully. Benefit Hoola Bronzer: Another heavy hitter on my YouTube Channel is Hoola Bronzer. It’s the perfect matte bronzer for contouring. beautyblender: Because it’s essential. Nothing gives a more flawless finish to your face than this magical little sponge. Care for it properly and it will last you several months. See my full video on how to use it here. Iluminage Sleep Mask: I’ve become so spoiled by this mask because it truly keeps every bit of light out. It’s essential for every night use, but my sleep life would crumble if I traveled without it! Clarisonic Mia 2: I’ve sung the praises of this handy dandy facial brush too many times to count. My skin depends on the deep clean it provides on my makeup days. Slip Silk Pillowcase: This pillowcase is so lush, I bought two. I swear that I wake up with much better hair because of this case! Makeup Eraser: So amazing that I bought several and gave them as gifts. It truly removes every trace of makeup without pulling or rubbing your skin. Kat Von D Concealer: This full coverage concealer is incredible for covering up the darkest of undereye circles. 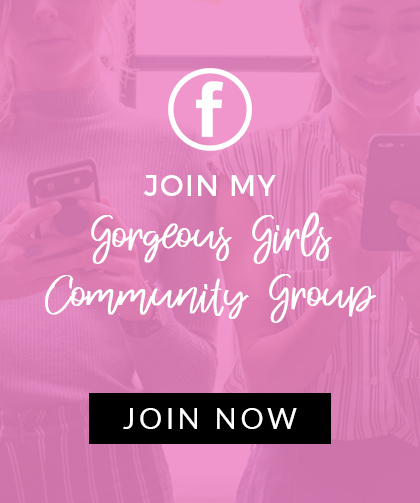 I am loving trying new beauty products that you share. I’ve never really experimented and just stick with what I know (other than mascara, I love trying new ones). But It’s been a lot of fun trying new stuff so thank you for sharing! I got some of the tarte mascara for Christmas and I love it! I need to pick up a new one soon! So much fun being a girl when it comes to beauty! Love your Sephora picks! I currently use four of those products and love them! There’s a few more on your list I have been wanting to get. Have to add them to my constant-growing list of products to get!